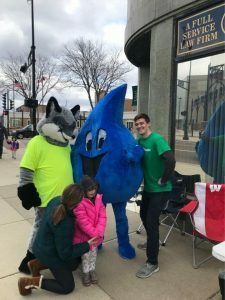 The Protect Wisconsin Waterways crew had a very successful event at the 2018 Beloit Easter Eggstravaganza on March 31. 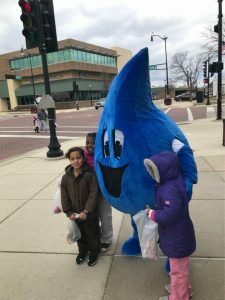 They were very interested in learning more about Protect Wisconsin Waterways along with ways they can help out around their homes. 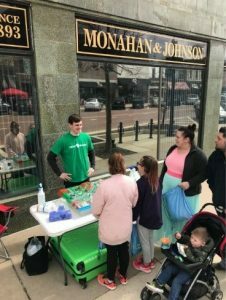 We engaged with many families and showed people the adverse effects of stormwater. 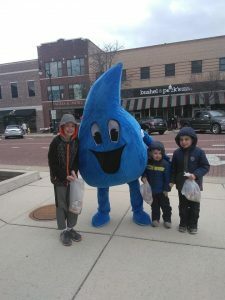 Splash drew the most attention at the event and many families took photos with him. 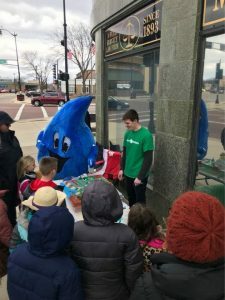 We also used the Enviroscape to show event attendees the many factors that affect stormwater runoff.